These past couple of weeks haven’t been full of a ton of big name reveals but they were full of a good number of interesting looking enough films like Flatliners, Thank You for Your Service, Marshall, and Daddy’s Home 2. Check out everything I rounded up below, along with my reactions. Well you can never accuse Hollywood of being afraid to make a remake. Flatliners is a fairly obscure film to get a remake, but seeing as most people probably haven’t even heard of the first one, let alone seen it, my expectations are very low for this one. It doesn’t have the same star power as the original, but the movie’s driving concept is still interesting and plays well with upgraded visual effects, so I fully expect this to be yet another low risk, cash grab. I guess telling the story behind the story of some of our childhood’s greatest stories is the new wave in cinema. Much like Mary Poppins, Winnie the Pooh is now getting it’s own live-action retelling of the story behind the story. I can’t say I’ve ever been much of a fan of the franchise but I know there’s a lot of them out there, so it’ll be cool fan service for someone out there. Yes, this is yet another based on a true story war movie about the war in Iraq. Yes, it does hit a lot of the same notes as the ones before it, but I think it’s important for us to see and hear these stories, whether we agree with them or not. Plus, this one looks like it’s focusing just as much on the human side of things and life after war as it is on the actual war, which is refreshing. I also like seeing Miles Teller continue his rise through Hollwood, he’s one of the more underrated up and comers. Chadwick Boseman is now officially the king of African-American biopics. He’s played Jackie Robinson, James Brown, and now America’s first African-American Supreme Court Justice, Mr. Thurgood Marshall. He’s been amazing in all his portrayals thus far but it always worried me that he might get stuck playing only these types of roles. But with Black Panther on the horizon those fears have largely been swept aside. Maybe he just likes bringing these important, underrepresented stories to the forefront and I can’t fault him for that. I, probably like most, don’t actually know much about the life and story of Thurgood Marshall so I’m all game for this one. I swear this is like the third movie in the last two years to feature this same groundhog day premise in their stories. Sure, they may change things up enough from one another but damn you can only do so much before it becomes literal deja vu. This looks like pure C-grade horror that’ll be on streaming services two weeks after release. I’m gonna pass on this one. Byyyyeeee. Can someone please explain to me just how the hell Daddy’s Home got a sequel but The Other Guys still hasn’t yet!? And didn’t the first one just come out like a year ago? I hate to say it, but Will Ferrell has been on a real slide lately with these dime a dozen comedies he’s been putting out. Looks just like the original with the addition of a washed up Mel Gibson. 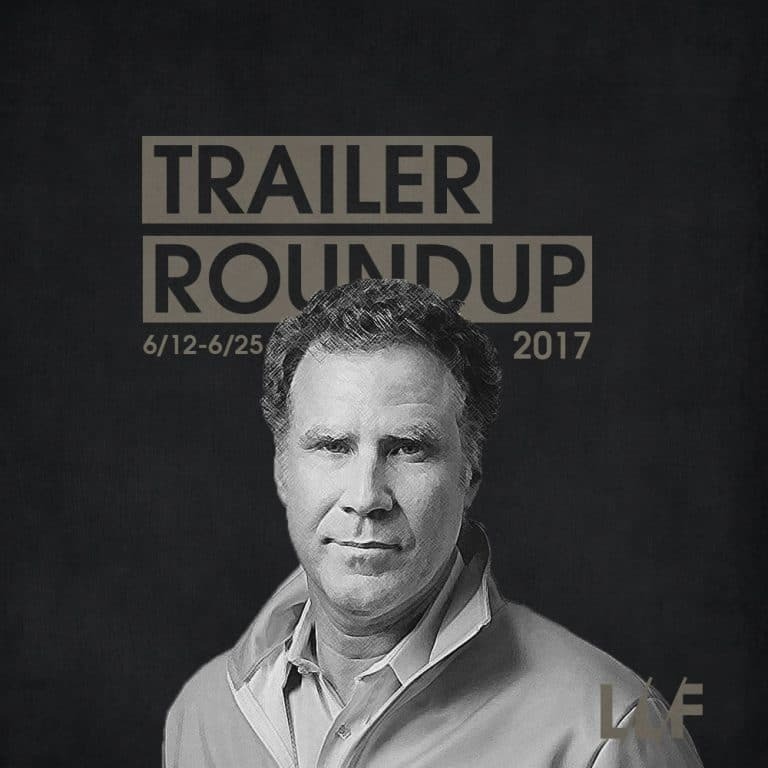 Sure it’s 90 minute run time of cheap gags will be worth a few chuckles, but this is not what we’ve been asking for Will Ferrell. This is not it. Feels like everyone in hip-hop wants their story told after they saw the success that Straight Outta Compton had. Bad Boy’s getting a new documentary, which makes sense, but Baton Rouge getting it’s own documentary about it’s hip-hop scene would probably be one of the last cities I’d expect to get one. But here it is, and it actually looks pretty interesting. Outside of Boosie and Gates, I know nothing of the hip-hop scene there and seeing how the culture impacts and gets transformed in different regions is always intriguing to me. I might have to check this one out. I’m sure I’m not the only one that feels some type of way about the way Hollywood capitalizes on tragic events. Sure they’re generally full of compelling stories but the rate at which they turn these out can’t help but feel a bit sleazy. With all of that being said, this does still look like a good, emotionally charged film with a solid lead, so it looks worth checking out.